I love getting emails from readers with questions about how to watch TV without cable. Word is spreading that you can save thousands of dollars on a cable bill and still enjoy your favorite programs. 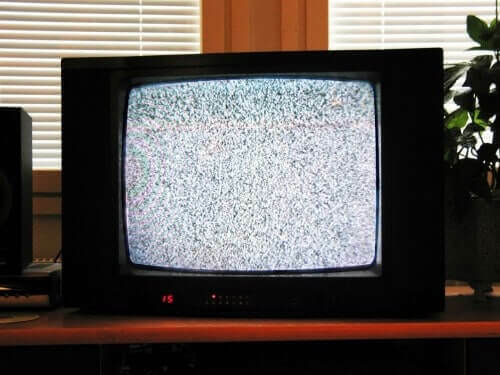 When broadcast TV signals in the US went digital in 2009 (2011 in Canada) laws were in place to ensure new TVs being manufactured were equipped with a digital tuner to receive the signals. TVs made before that time were made with analog tuners. Those TVs will not work with a digital signal unless you have a digital TV converter box, also known as a DTV converter box. What’s a DTV Converter Box? A digital converter box is a device that connects to your existing analog TV and your antenna. It translates the digital signals being picked up by the antenna into an analog signal that can be received by your TV tuner. Prices range from $30 – $80 for a DTV converter box based on the quality of the brand. Many are available Online from Amazon. Does my TV need a Digital Converter? The easiest method to figure out what type of tuner your TV has is to look in the owner’s manual. The specifications should let you know whether your TV is analog or digital. However, if you are anything like me, you have no idea where that owner’s manual is. In that case grab the model number off the back of the TV and check the manufactures website. They should have specifications on older models letting you know if the TV is analog or digital. Your TV may also have writing near the connectors on the back giving you a clue to the type of tuner. If you see words referencing “NTSC” or “analog” then the tuner is likely not digital. If it were, you would see words like “ATSC”, “DTV”, or “Digital” on the back of the TV near the connectors. Of course, follow the installation instructions that come with the digital converter box. I’m sure you will find installation of a digital converter box is quite easy. Simply connect your antenna to the “Input” on the converter box via coaxial cable. It will usually be labeled with words like “Antenna In.” Then connect the DTV converter output to the antenna input on your television. If you do not have a coaxial connection on your antenna or TV, then you most likely have a “twin lead.” This issue can be solved by using a 300 to 75 ohm twin lead to coax adapter. 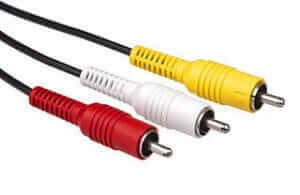 The converter box may have RCA connecters, in which case you can use the cables pictured below. If you have a TV that doesn’t have any of the connections described in this article check out this reference on various TV connectors. Once you find the connection your TV has, you can likely find a converter to join it to a the connection required by your DTV converter. Considering the monthly cost of cable, upgrading your old tube TV with a DTV converter is a sensible decision. However, the price of new HDTVs has come down drastically. You can typically find one for the cost of 2 months of cable. You don’t need a smart TV to cancel cable. Most new TVs typically have HDMI cables which will allow you to leverage TV streaming devices like Roku and Apple TV. Combine these devices with your antenna and you will have little need for cable TV. So if you can afford the one-time cost, I’d go with a new TV.